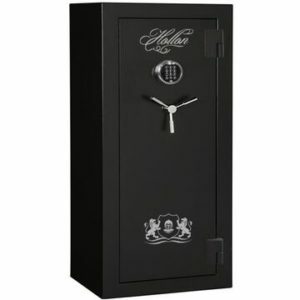 Our Crescent Shield series makes its debut this year in our newest line of gun safes. 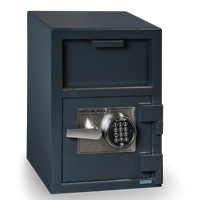 This series is designed with high security and high fire rating at a very reasonable price. 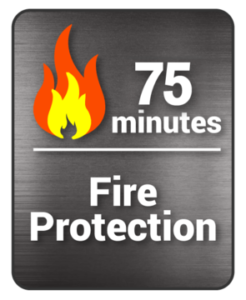 Fire rated for 75 minutes with an intumescent fire seal that is heat activated and expands 7 times its original size. This seals the door to keep out fire and smoke and forming what the forestry service calls a “fire line” that puts a stop to fire, heat, and smoke. 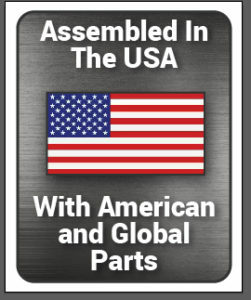 The Crescent Shield Series is equipped with high security 1.25 inch chrome steel bolts that are 25% thicker than the industry standard. 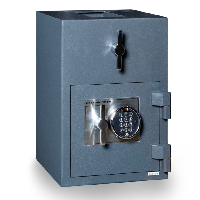 Each safe has a full wrap of bolts that include the top, bottom, hinge, and opening side of the gun safe to ensure pry resistance. 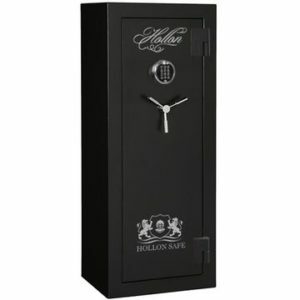 An another added feature is our Vault style hinges that prevents the door hinge from sagging and allowing the door to be fully swung out of the way by 180 degrees to the safe, making for faster and easier access to all your guns. 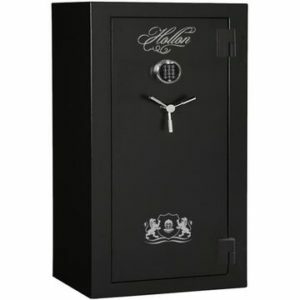 Includes upgraded Sargent & Greenleaf Type 1 electronic lock, which is a higher security rating then most dial locks that are Group 2. 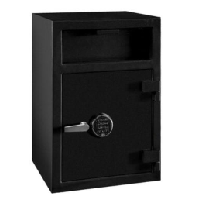 The interior lock pack is protected by our drill and ballistic resistant hard plate that has to be melted in order to penetrate the lock pack. 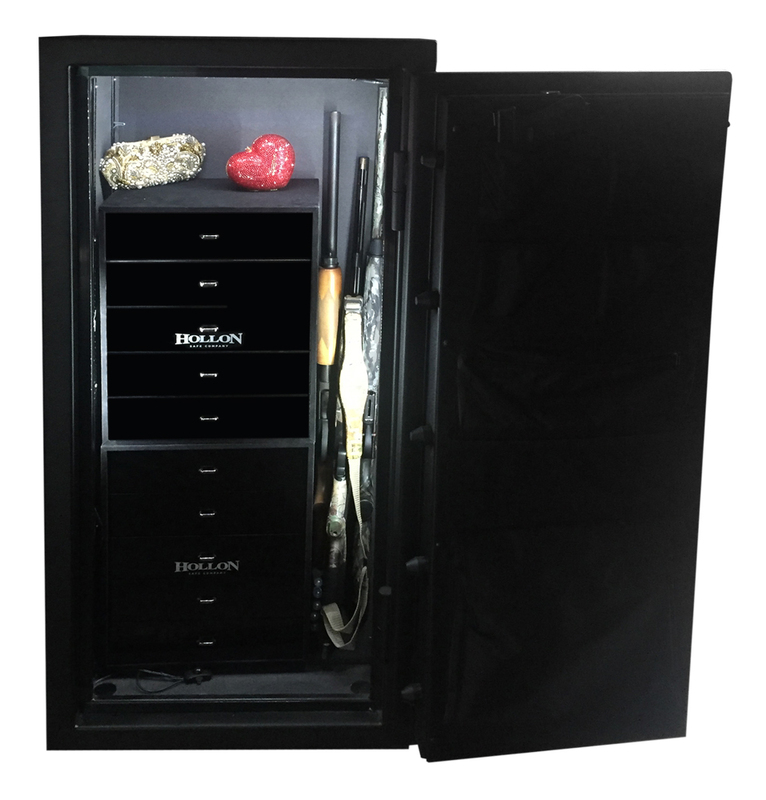 Upgraded Deluxe interior with charcoal grey liner, Pocket door organizer made from heavy canvas for longer durability and Adjustable and removable interior shelves and gun racks are also included.